If you are a visionary, who needs to shape the ideas into a product, intrapreneur or product manager, who wants some guidance in the process or a student, who is interested in being one of the above, I believe I can help you. English: Today’s Lean Startup event at Node5 inspired me a lot. In the next life, I study just during the evening seminars! English: First feedback: “I learned more during this workshop than during three years of study”. 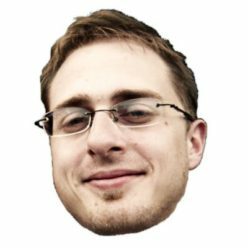 I like organizing events, which make sense! Usually, these are the topics of the workshops: Lean Canvas (business modelling), Results Chain (theory of change), Risks and Experiments (Lean Startup). Do you want to launch a new product or service? Do you need to synchronize the knowledge among the team members? 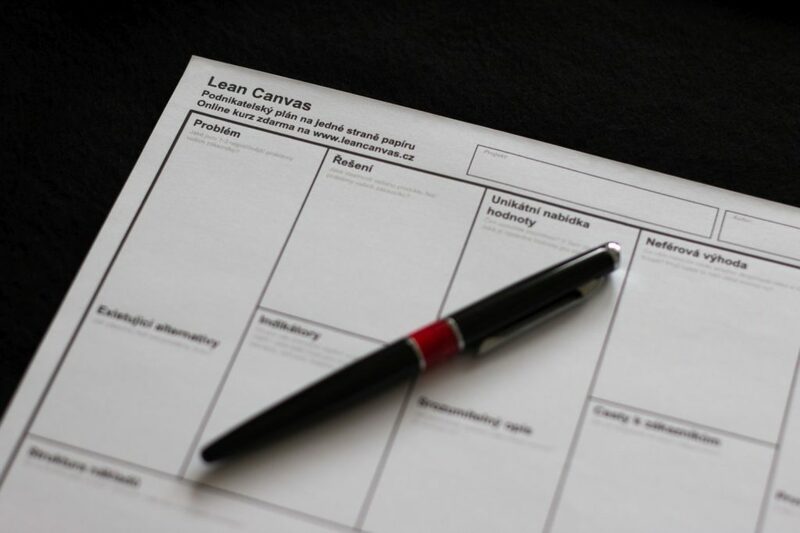 Lean Canvas is a simplified business plan on one side of the paper. It will give you a holistic view of your idea, but it also will keep you being very brief and to the point. 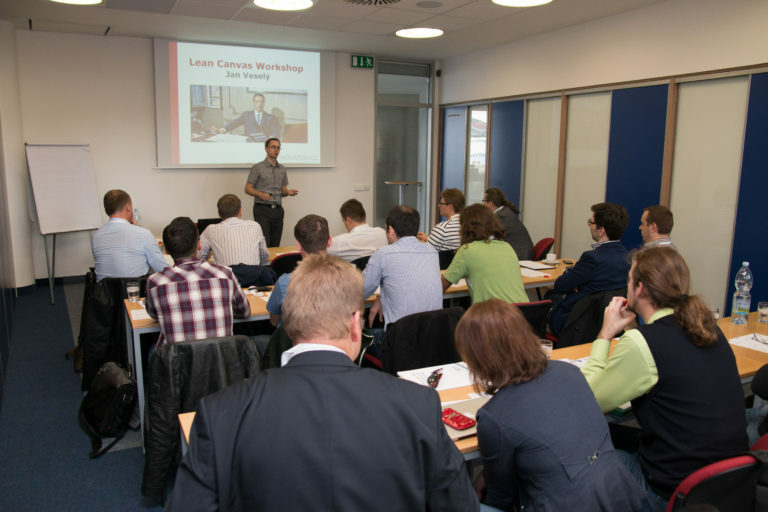 Working with Lean Canvas is extremely useful for startups and teams in large organizations as well. Thanks to it you can be sure you will not forget anything important about the product or service you are offering. The workshop is ideal for the whole teams. First, team members describe the product by themselves alone. Then they are doing synthesis in the team. Thanks to this approach, nobody is left behind and new interesting ideas emerge. risks as inputs for the experiments. Maybe you are starting with why, but how to describe it in some manner, that not just the team but also the public gets the notion, why you are trying to build your thing? This tool comes from the non-profit sector, but it actually helps a lot in the business environment as well. It helps you describe what change do you want to bring upon the world. This is useful for every organization, that cares for more than just money. Where Lean Canvas helps you describe the current state of your thinking about the product or service you are building, the Results Chain clarifies the long-term time perspective. How to get from plan A to a plan that works? So, you have a pretty clear image what you want to achieve and some ideas about the product or service you want to build in order to get there. But, where to start? What is the priority? How to move fast? How to work smart? How not to waste money, time and energy solving the problems you committed to? The Map of Risks helps with the prioritization quite immediately. It is easy to grasp, especially for people with prior experience and thus strong intuition about the biggest risk factors that are coming into our path. For less experienced entrepreneurs, the mentors they then ask for help supply that experience. Experiments are the essence of Lean Startup. The development of a new product or service is, in fact, one experiment after another, but usually very poorly planned. However, moving to a disciplined approach is not as easy as it can be seen after reading a few articles about Lean Startup. You will try one or two experiments within the workshop. We will start with a hypothesis. Usually, we start with the problem interviews with some real people, possible customers or users of your product or service. understanding and reducing the fear of starting a new product or service. If you feel I can help you as well, please get in touch with me to talk more.